● Careless use of ultra bright bicycle lights becoming a problem. Autumn is here, the days are getting shorter, and more people will be using lights on their bicycles. The problem is that many cyclists are now using powerful ultra bright headlights on their bikes. It wasn’t too many years ago when most of the headlights that mounted on handlebars were barely adequate for the job. Back then, if you really wanted to light up a dark road, you had to pay as much as $200 for high powered lights that required a separate and relatively large battery pack. However, technology has improved to the point where it is now possible to get extremely bright lights that are affordable, compact, and easy to install on handlebars. For obvious reasons, these headlights are becoming very popular, and people often mount them so that they are pointing straight forward (with no downward tilt) for maximum illumination. Unfortunately, people using these lights in this manner end up blinding anyone coming towards them. The effect may last less than a minute, but try pedaling on a bike with your eyes closed for 50 or 60 seconds. The problem is most noticeable on bike paths, which are usually unlit, and where people want the strongest lights possible. I have encounter quite a few bicycles equipped with these ultra bight lights coming towards me on the paths, and I was blinded to the point where it was very difficult to see where I was going. I had to slow down to a crawl and concentrate on staying on the path. The person riding with the bright light would soon pass me by, oblivious or indifferent to my predicament. The headlight I use on my bike is, by today’s standards, a mid-powered unit. It attaches to the handlebar with a thick rubber band, and I install it so that it is pointing downward ever so slightly. Depending on my speed and where I’m riding, I’ll arrange it so that the beam of light hits the ground about a dozen metres in front of me. When there’s no one around, I’ll tap the headlight so it points higher, and extends the field of illumination in front of me. This routine helps prevents my light from blinding anyone who may be coming towards me, and still allows me to use the full power of the light when it’s needed. It’s the same approach we use with our low beams and high beams on our cars. Just to be clear, I have nothing against these ultra bright lights. They can be a real godsend when you need them. I just think people have to realize how bright some of these lights are, and have to take responsibility for how they use them. For more on this subject, click here for a Seattle-based podcaster’s perspective on these bright light. 3 Comments on ● Careless use of ultra bright bicycle lights becoming a problem. 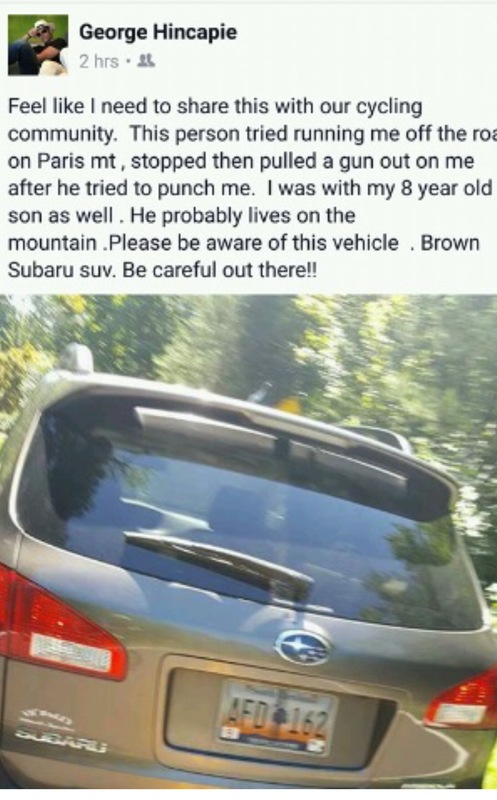 on a side note – a good thing this doesn’t happen here… I once had a gun pulled on me while riding. in my view, 300 lumens is sufficient for most conditions as commuter light. As for trail riding, probably need something over 700 lumens depending..
if riding on the road with traffic, I’d probably go 500-700 lumens though. maybe on the roadways ultra bright lights are useful though.